MIHAJLO PETROVIĆ was the first Serbian pilot who lost his life on a combat mission, and it happened #OnThisDay 104 years ago (March 20, 1913). 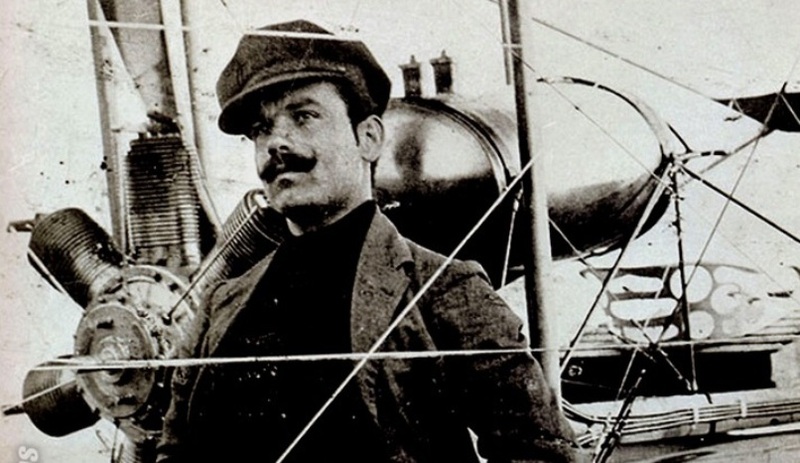 Petrović belonged to the first group of Serbian pilots who were educated and trained in France in 1912. After successfully passed exams and medical checks, he was in one of the first groups to be sent to France to be trained for pilots. After successful completion of the training and passing the final exams (one month before the rest of the group), Mihajlo Petrović became the first Serbian airplane pilot with diploma and an international pilot’s license. He lost his life during the First Balkan War on a survey flight over the Turkish positions around the besieged Shkodra in Albania, when his “Farman” got hit by strong air currents that slowed down and disabled his aircraft. Sergeant Petrović fell out of the plane at an altitude of about 1,000 m and didn’t survive the crash since at the time the parachute was not part of the standard equipment of a pilot.